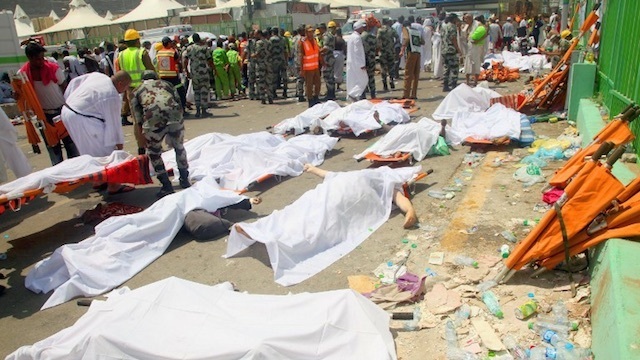 Recently, I posted about the tragic deaths of a number of our Muslim brethren in the accident involving a collapsing crane in Mecca at the height of their Hajj pilgrimage, and so it is with even greater sadness that I read yesterday evening of an even greater number of deaths in a mass stampede during another part of the same pilgrimage. While I cannot agree with many of the tenets of Islam - to do so would be to deny my own Christian Faith - I do believe that the majority of Muslims are decent people, striving to follow many of the ideals that Christ Himself taught (after all, they regard Him as great prophet), and to find their way to God, or Allah as they would call Him, in the ways that they understand. I therefore pray that Our Lord, in His mercy will grant a way to Heaven to the many innocent souls who lost their bodily lives in Mecca, in the very act of aiming to give Him worship.